The six Onyx Cinema LED screens at Shanghai ARCH Wanda Cinema support 3D content, creating reality features with high brightness and industry leading 3D dimensional depth. The high dynamic range (HDR) picture refinement technology intensifies the image to the brightest levels with sharper and more detail-rich presentation. Harman’s JBL Sculpted Surround sound audio will enhance the viewing experiences of the audience by providing sound effects harmonized with the content with speakers around the theater. “The entire Samsung team is thrilled to be part of history with the first ever Onyx multi-theater from Wanda Cinemas in Shanghai, China. 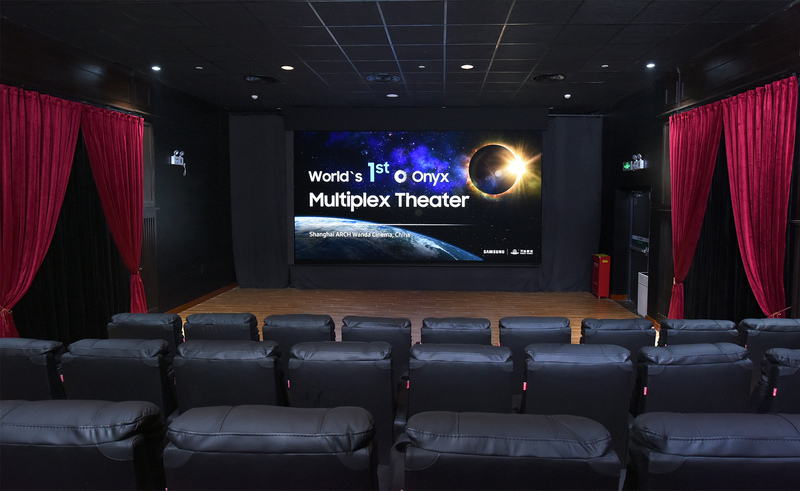 Onyx technology was designed to bring the visual power of LED picture quality to the big screen and began the uprising of ultra-modern movie theaters for the future,” said Seog-gi Kim, Executive Vice President of the Visual Display Business at Samsung Electronics. Besides China, Samsung is also cooperating with an Indian film entertainment company to install five 4K Onyx Cinema LED displays in India’s major cities, which are scheduled to be completed by the end of 2018. The LED displays adopted by cinemas utilize fine pitch display technology. According to the latest research report of LEDinside, “2019 Global LED Video Wall Market Outlook - Cinema, Rental Market and Price Trend,” the market scale of indoor fine pitch display in 2018 is projected to be US$ 1.997 billion with a YoY growth of 39%. Moreover, its CAGR during 2018 to 2022 will reach 28%, driven by the on-going development of fine pitch display including Samsung’s worldwide business strategies with its Onyx Cinema LED displays.